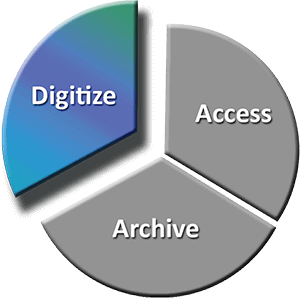 The Opus digitization process was designed specifically for academic libraries, museums and archives. 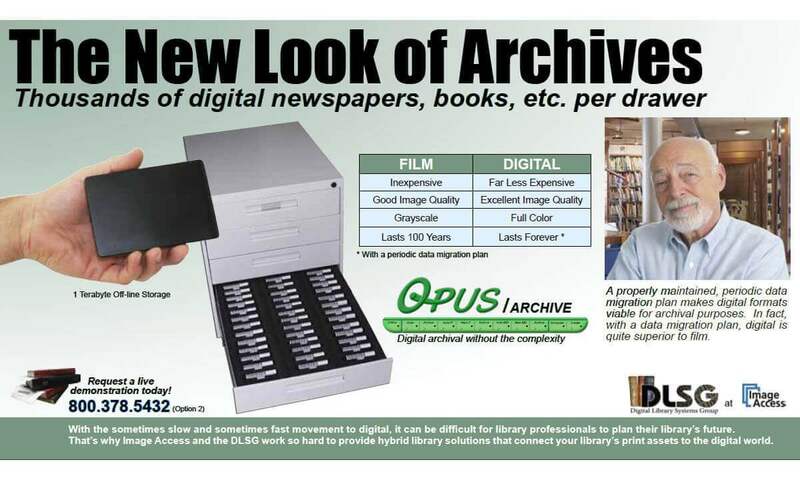 Use Opus FreeFlow to build digital assets for preservation, archive, digital collections for the Web, and for viewing software. Its image treatment processes such as fan, gutter and book curvature removal, and content location and registration, are dramatically faster and easier to use than photo editing software. Opus FreeFlow operates a wide array of preservation quality scanners and allows for the import of existing images as well. It then groups images into objects (i.e. books), which are easily managed and processed. Finally, it renders those objects into a variety of derivatives. With Opus FreeFlow 4-tab interface, users can switch dynamically between scanning, image treatment and outputting derivatives. Multipage objects can be reopened and reprocessed at any time. 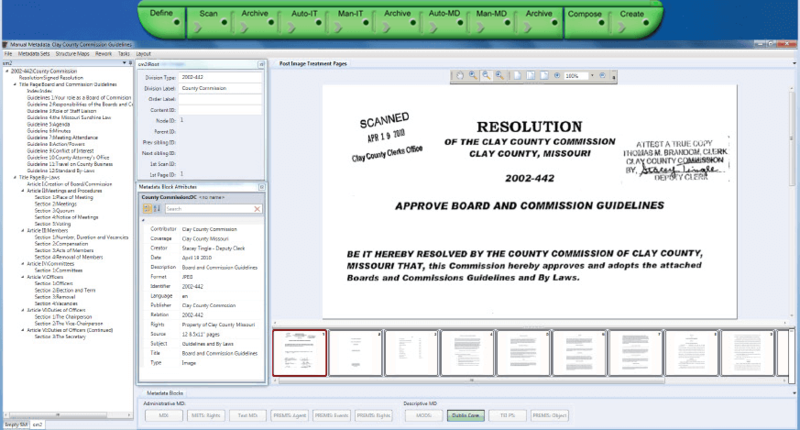 Pages can be deleted and rescanned and new pages can be scanned and inserted. Unlimited derivatives can be created with variations in image size, resolution, format and file type. 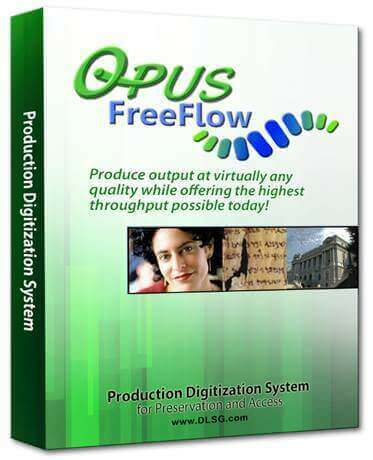 Opus FreeFlow is fully compatible with Opus Digitization Workflow software. While objects are in the middle of the Opus workflow, they can be opened with Opus FreeFlow for additional scanning, image modification and derivative generation. 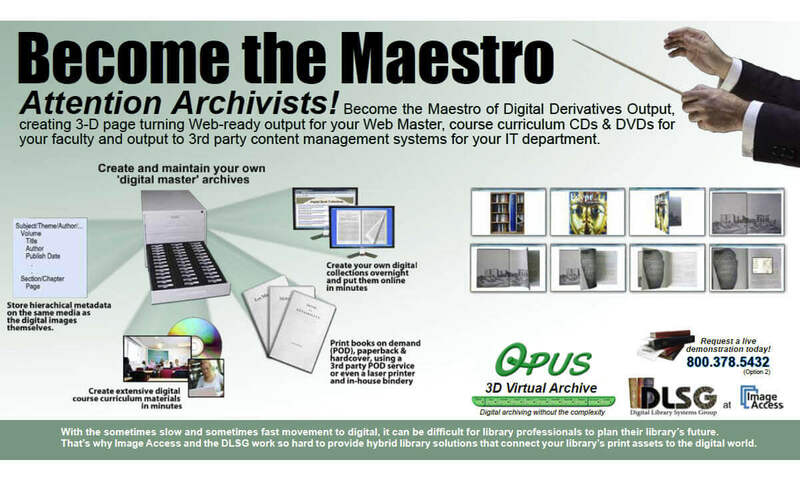 Opus support for the Open Archive Initiative (OAI) takes on several forms. Opus has the ability to generate export derivative sets which can be added into an OAI-compliant metadata repository and made available via the OAI-PMH to any OAI compliant metadata harvesters. The DLSG operates and manages the cloud infrastructure necessary to support this need, thus freeing our users from having to acquire and maintain the expertise to make their chosen objects available to the digital archive community at large. For example, this feature of Opus allows its users to easily contribute to the Digital Public Library Project (DPLA) with just a few clicks. The underlying object resources (images) described in the OAI-compliant metadata export may either be hosted by the OPUS customers themselves or the resources can be uploaded to a DLSG-maintained archive repository as part of the OAI publishing process. Published objects can be further queried and made available by Opus's support for the OAI-ORE project. In addition to the cloud based OAI publishing features, the DLSG cloud repository allows the user community of Opus Systems to share or exchange Opus objects among themselves. Opus' hierarchical metadata capture is controlled by templates that can be created and modified to fit virtually any requirements. Input field characteristics include :required/optional, repeatable/one occurrence only and other characteristics that can be specified when templates are constructed of modified. Opus provides several generic templates to capture the data necessary to create virtual library output formats. Opus provides a straightforward graphical interface for creating and modifying hierarchical templates. The templates carry the characteristics of XML elements and attributes. Data entry rules such as required/optional and single/multiple can be assigned to each field. During metadata capture and entry, Opus enforces the rules, thus simplifying metadata entry and reducing errors. In addition, the Opus hierarchical metadata input facility allows users to scroll back and forth through the images of an object (e.g. 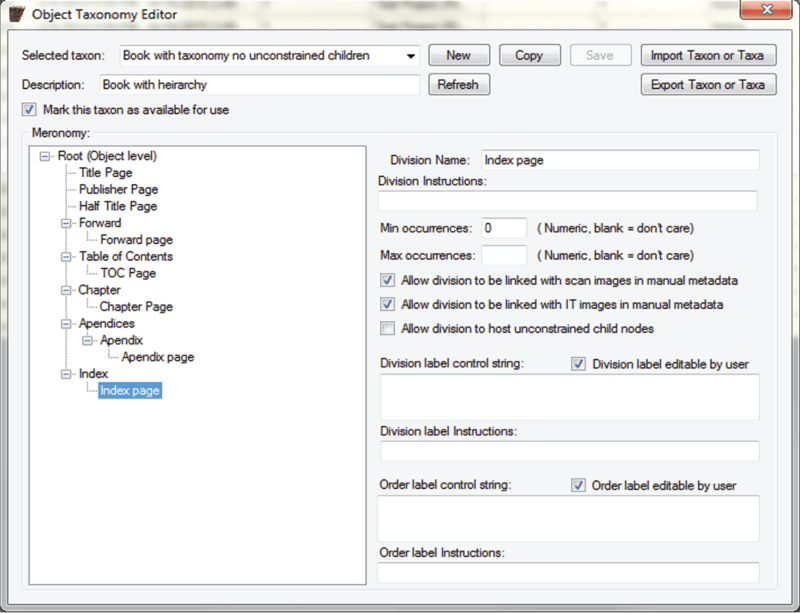 pages of a book ) while reviewing and entering metadata. One of the key benefits of the Opus Metadata capture system is its flexibility in allowing project curators to not only design and codify their own specialized metadata data capture needs, but to link these metadata collection sets to customized object meronomies. This degree of metadata capture task standardization affords the project's curator the confidence to know that their project's metadata needs will be meet by the data collection team. Once these completed metadata collection templates have been defined , they can be shared back into the curator's community, thus allowing the project to expand beyond a single institute. This ensures that the resultant aggregate of objects can be blended seamlessly together into a single master archive to be used by the project's curators to publish their collective work as part of a single repository. Opus has a library of script files for common XML, flat file and other output formats for the metadata and associated images of digital objects (e.g. METS, MODS, Dublin Core).This script library is expandable with an unlimited number of custom formats. In addition to selecting the desired output format(s) for the metadata , the clarity , size and output formats of the images can be specified (e.g TIFF, JPEG, PDF, PNG, etc.). DLSG staff technicians can assist in modifying existing formats and creating new custom output formats. The most exciting and immediately usable format that Opus creates is a Web-ready output that provides the experience of browsing the virtual stacks, selecting a digital book, opening it and turning the pages; as DLSG staff though the printed book were in front of you. One of Opus' most popular file format outputs of the images is PDF and PDF/A. 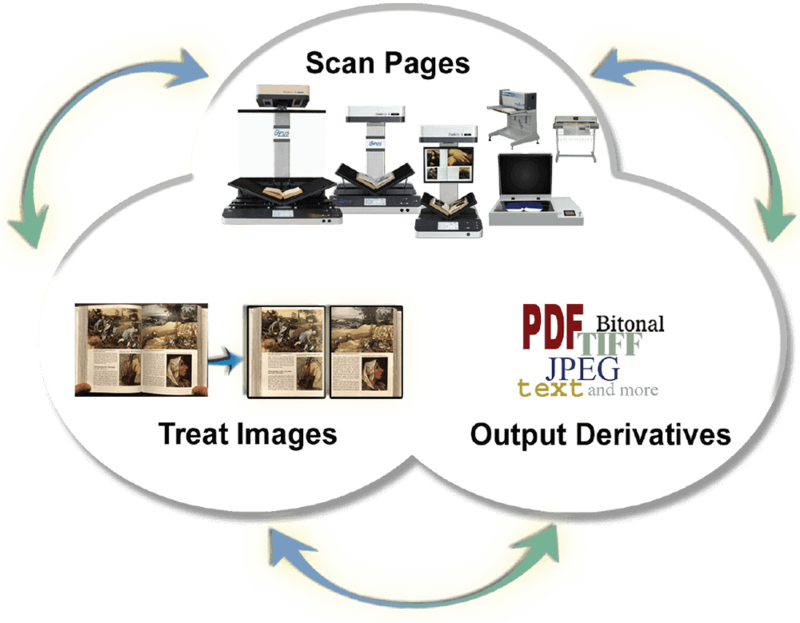 Opus Image Treatment function publishes PDF images with consistent sizes. When coupled with Opus metadata output the PDF is presented with bookmarks hyperlinked to the section within the images, making content search extraordinarily easy. 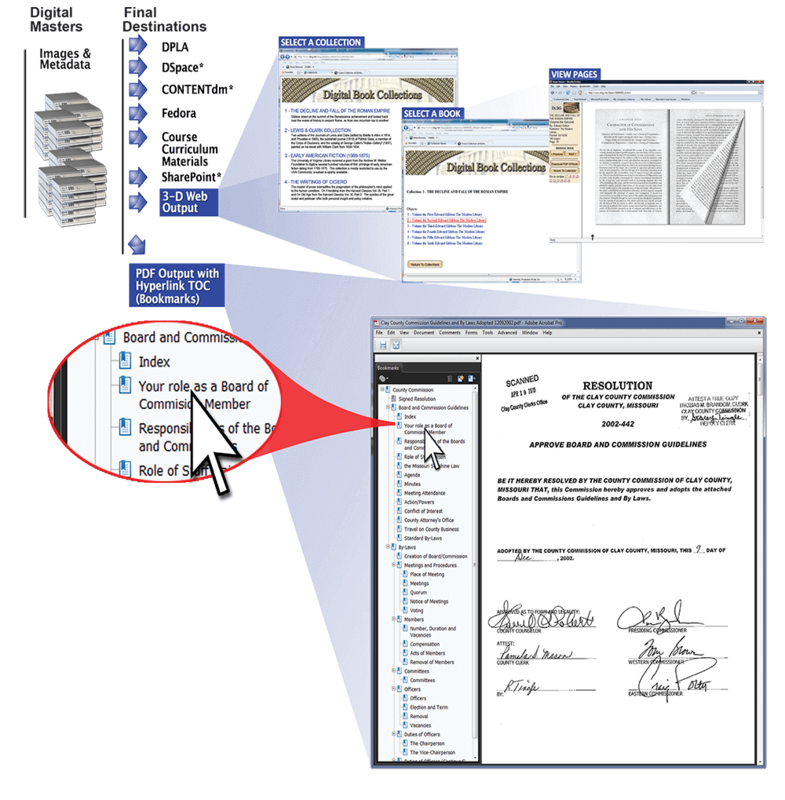 Opus' OCR function adds full text search giving the user the ultimate search tool. PDF and PDF/A are trademarks of Adobe Systems Inc. Content Stabilization is a general term for automatic and manual varieties of image treatment that can be performed during or after scan time with the purpose of producing clean, clear and consistently formatted digital images. Book curve, skew, fan, gutter and black edges are automatically adjusted to render clean, consistent margins of uniform size and text position for a clean, professional look. One more of the image treatment features above can be applied to a single image, to selected images, or all the images in a given batch. Manual Content Stabilization allows users even more precise control of the image treatment listed above and can be applied to one, many or all images in the same group. Opus FreeFlow is an application that provides the scanning, image treatment and derivative creation capabilities of the full Opus Digitization Workflow system outside of its structured project management environment. 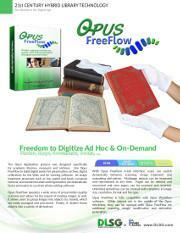 Unlike Opus Workflow, Opus FleeFlow doesn't perform automatic archiving or manage workflow. 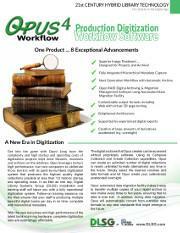 Opus FreeFlow is also fully compatible with Opus Workflow digitization software. They can be used independently or together. For example, while objects are in the middle of the Opus Workflow, they can be opened with Opus FreeFlow for additional scanning, image modification and creation of derivatives. 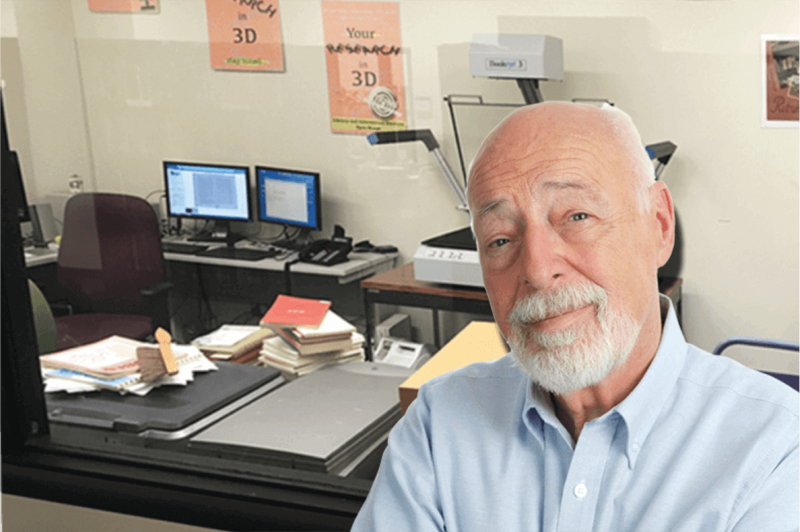 Opus FreeFlow digitization software provides all the necessary functionality to create digital books and other materials from scanned images. Prior to Opus, digitization had to be performed one image at a time using photos editors for image treatment, and content managers for keying metadata. With Opus FreeFlow, after scanning and treating images, digital derivative images are output to destinations such as digital content management systems, and digital master images to digital archive systems. Opus Digitization Workflow software allows for the use temporary workers with minimal training while minimizing the chance of errors and ensuring that preservation quality standards are met. Unlike FreeFlow, Opus Workflow applies somewhat rigid managements principles. 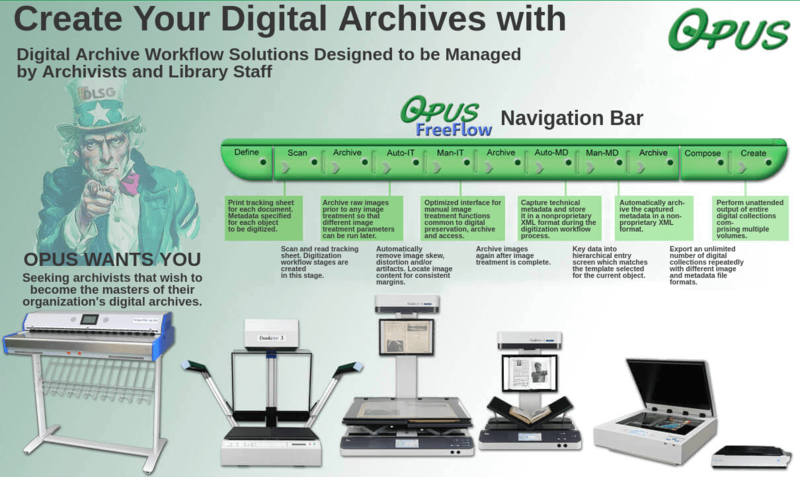 Opus FreeFlow and Opus Digitization Workflow work seamlessly together and can be used by a trained digitization staff member at any time to perform processing and output independently of Opus Workflow. Opus FreeFlow also works with third-party software. For example, if a user wishes to perform an image treatment function supported by a popular photo editor, the press of a button in Opus FreeFlow can launch the third-party application with the current image ready for editing. Once the edits are completed and saved, exiting the photo editor will return the user to Opus FreeFlow with the image showing the modifications that were made. With this latest member of the Bookeye® family, Image Access placed an emphasis on developing a scanner which is compact, easy to operate and competitively priced; to bring high end professional scanning to an even larger population of users. 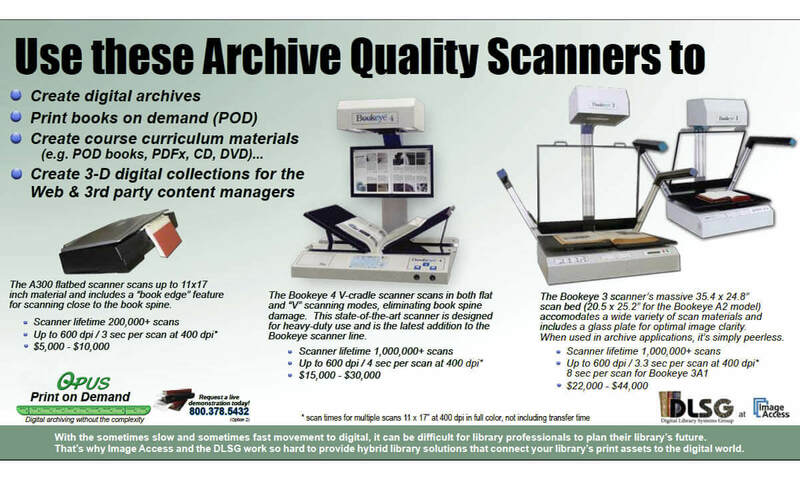 The efficient Bookeye® 4 digitizes source material such as bound documents at high speeds in up to 600 dpi optical resolution and formats up to DIN A2. Over 17 years of electronic, optical and mechanical engineering experience went into the creation and manufacture of the Bookeye® 4. The clever mirror mechanism captures the document precisely from edge to edge, whether it is a flat document or a book open at an angle of 120 degrees. The V-shaped book cradle was optimized to reduce the risk of damage to book spines and binding during digitization. 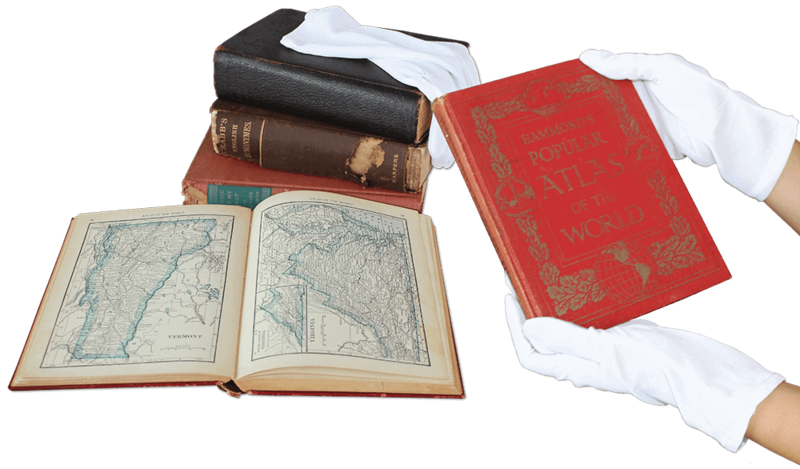 The book cradle holds the open book at an angle of 120 degrees; enough to effectively scan the contents of a page, while gently preserving the original subject matter. Bookeye® 4 V2 has all the advantages of a more expensive standalone device. Outfitted with an integrated color touchscreen and monitor, Bookeye® 4 can reach unrivaled scanning speeds and process large volumes of data independent of any external peripheral devices - a typical feature of all Image Access scanners. It takes approximately 1.6 seconds for the Bookeye® 4 to capture and process the images of two pages of a DIN A2 sized book scanned at 200 dpi optical resolution. Once the image is on the screen, modifications can be made to scan parameters such as brightness, color or contrast without having to rescan. Users operate the system intuitively, guided by clear and well-structured menu commands on the touchscreen. Scanned images can be saved to a USB flash drive or Cloud, sent via email, printed on a connected or network printer, or uploaded to an FTP Server. 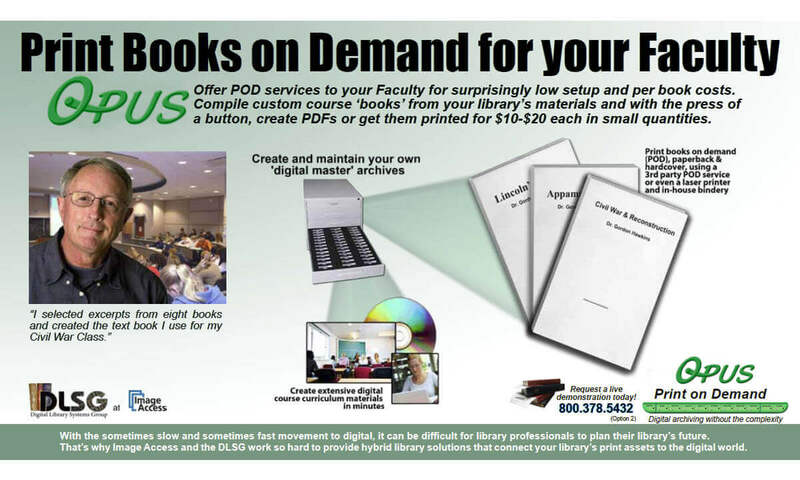 Bookeye® 4 V2's solid build, innovative features and competitive pricing make it an ideal book copier for large groups of users; for example, in a university library. Some of the advantages of using a Bookeye® 4 instead of a standard copier include the Bookeye®'s built-in book cradle for gently handling bound materials, its speed and simplicity of operation, and the fact that the resulting digital images substantially reduce, and in most cases eliminate, the need to print scanned material. Works Well With Others: Create JPEG, PDF (both searchable and image-only), or TIFF file formats and save to network (PC, server, FTP). Easy to Use: Single button scanning, optional foot pedal, built-in display, automatic laser-assisted profile detection and automatic format recognition ensure uncompromised scan results. High Duty Cycle: High Duty Cycle: Bookeye scanners are designed for high-volume, professional use. Their duty cycles far exceed that of desktop scanners. State of the Art Illumination: Bookeye's bright white LED illumination lasts significantly longer than other lighting systems. LED lights also consume less power and produce far less heat. Easy Setup: Bookeye scanners connect over your network using standard IP (Internet Protocol) addresses and can be operated by a standard browser without drivers or add-on cards. No Warm Up Time: Bookeye scanners are ready to scan anytime you are. Other scanners can require several minutes to warm up before use. Room to Grow: Firmware upgrades are available online and are directly downloadable to the Bookeye using a standard browser. Environmentally Responsible: We all know that scanning and saving images to email, USB, etc., rather than photocopying or printing saves paper and toner, but it's hard to get a feel for just how much savings are likely. Remote Scanner Management: You're in full control from any browser. Change any and all scanner settings remotely or using Bookeye's built-in touch screen. User Statistics Monitoring: Bookeye lets you manage and monitor the usage, statistics and settings of each scanner you own. The reports are automatically uploaded and available online from your web browser. ENERGY STAR qualified products and practices help you save money and reduce greenhouse gas emissions by meeting strict energy efficiency guidelines set by the U.S. Environmental Protection Agency and the U.S. Department of Energy. The cETLus Listing Mark is used for products going into the Canadian and US markets. Products with the cETLus mark have been examined and have passed tests determining compliance with device safety requirements. The standards for IT-equipment are ul 60950 for the US market and CSA.C22.2 No 60950 for the Canadian market. The ETL-EU Listing Mark is used for products going into the European market (shown by the "EU" in the mark). Products with the ETL-EU mark have been examined and successfully passed tests according the requirements for device safety. The standards for IT equipment are IEC 60950-1 and EN 60950-1, or the new standards (from 2014) IEC 62368-1 and EN 62368. The China Compulsory Certificate (CCC mark) is a compulsory safety mark for a wide range of products imported and sold in the Chinese market. It became effective on August 1, 2003, when China became a member of the WTO (World Trade Organisation). The CCC mark is required for both Chinese manufactured and foreign imported merchandise. The CCC certificate must be renewed annually as part of a follow-up certification which includes a factory audit. BIS is the acronym for Bureau of Indian Standards. The BIS mark is a requirement for manufacturer who intend to export their products to the Indian market. Tests executed by accredited laboratories ensure that the tested device fulfils all safety relevant requirements of the above named standards. WEEE is the European Community directive 2002/96/EC on waste for electrical and electronic equipment which, together with the RoHS Directive 2002/95/EC, became European Law in February 2003, setting collection, recycling and recovery targets for all types of electrical goods.